Our morning today was quite productive. 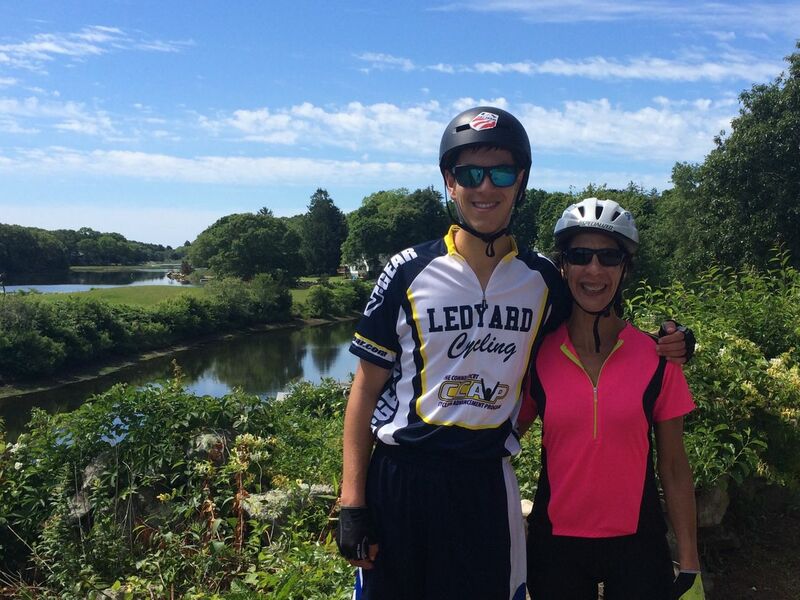 With Xavier doing a triathlon tonight, we sent Gianni and X off for a quick 15 mile loop through Ledyard's finest. Mrs. Froh and Mr. Jannke worked on Megan's bike (thank you CCAP) to set her up with clipless pedals (thank you Brumble Bikes) and shoes. Megan worked hard on the trainer and in the parking lot for an hour and a half perfecting her technique. Time to get her back out on the road with the newfound power of proper shoes/pedals. Watch out! 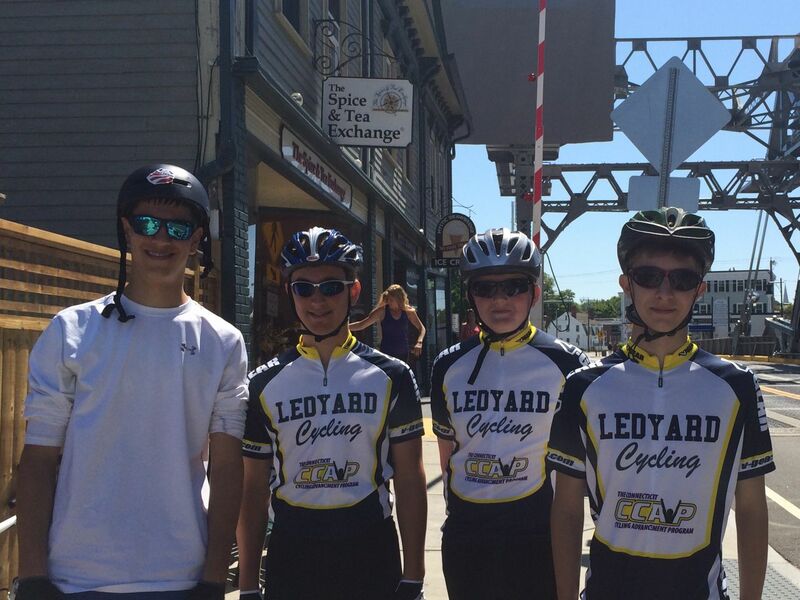 We enjoyed a long morning on the bikes with 5 of our 7 student riders. 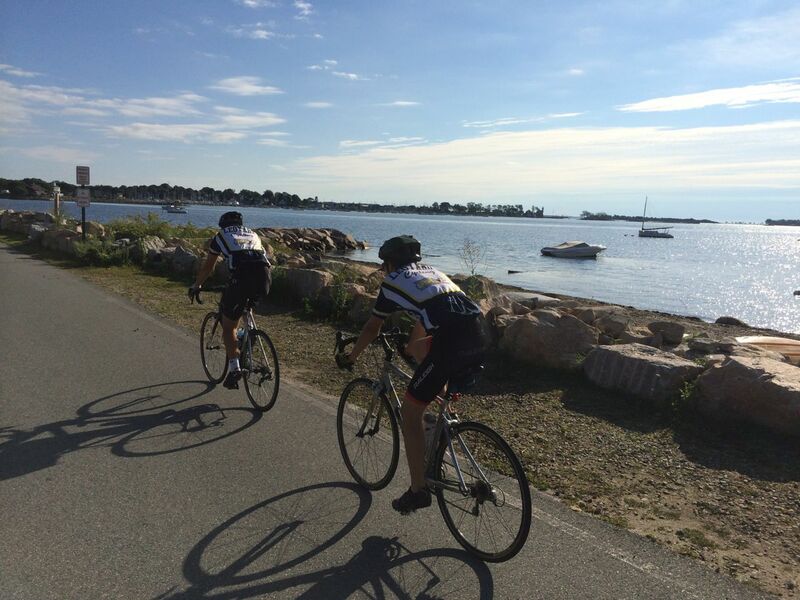 We did a fun group ride through Stonington and Mystic before finishing out the 29 miles with our obligatory climb back to the high school. We stopped in Mystic for ice cream. 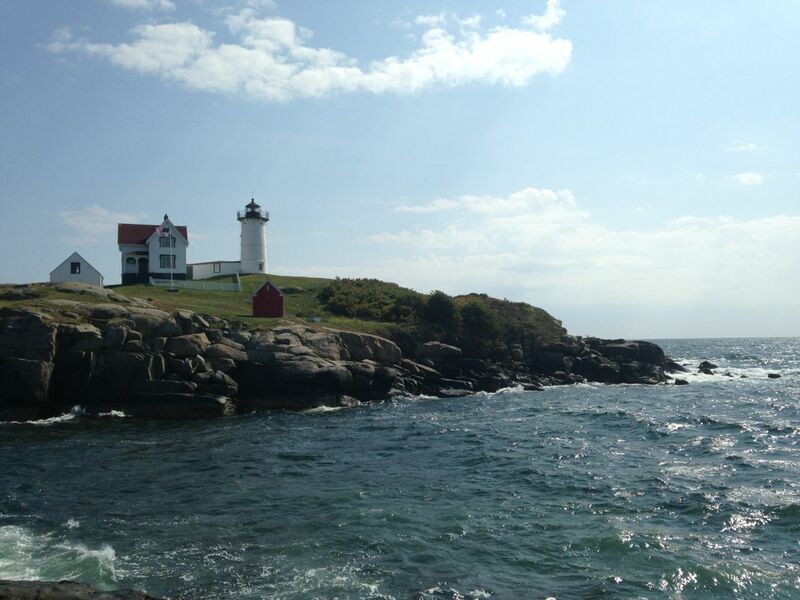 What a spectacular morning in southeastern CT! 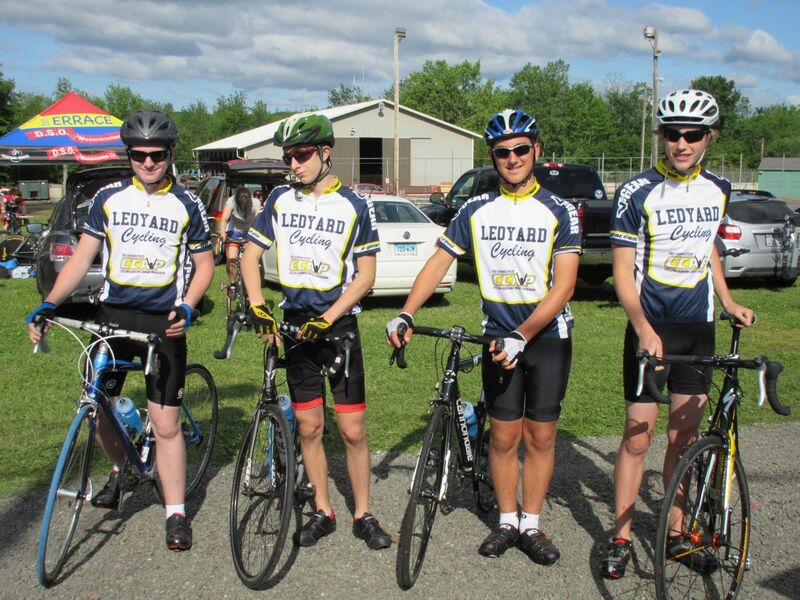 We ride again Thursday morning at 8 am from LHS. 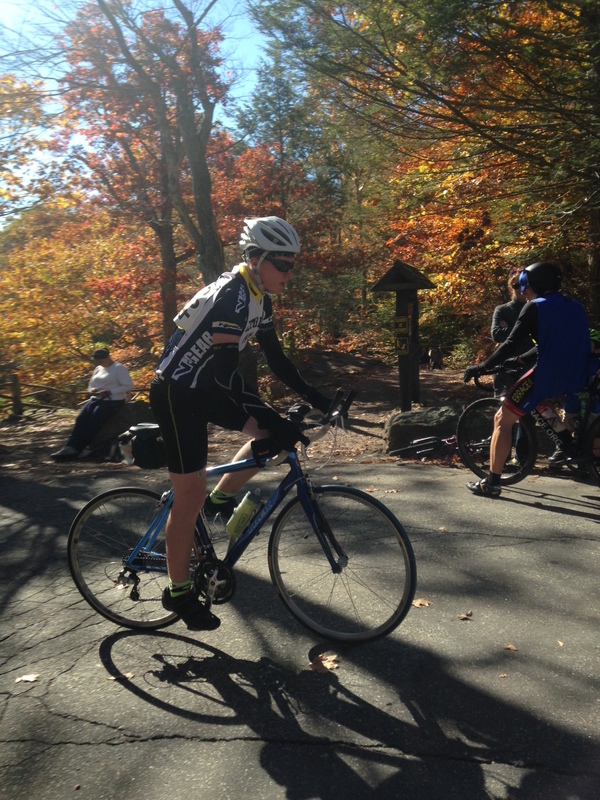 Today we were excited to welcome Megan to our group ride. 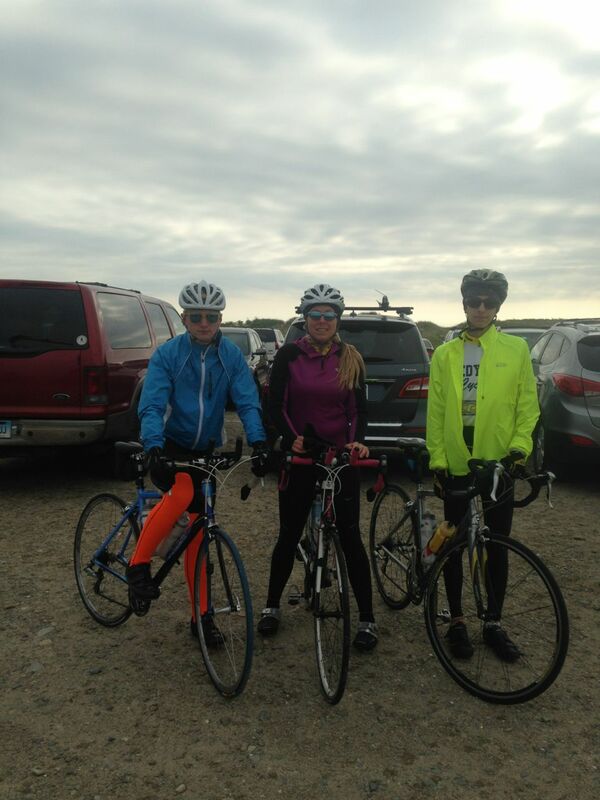 She had trained with Mrs. Froh earlier in the spring around her tennis schedule, but this was her first long ride with the group. 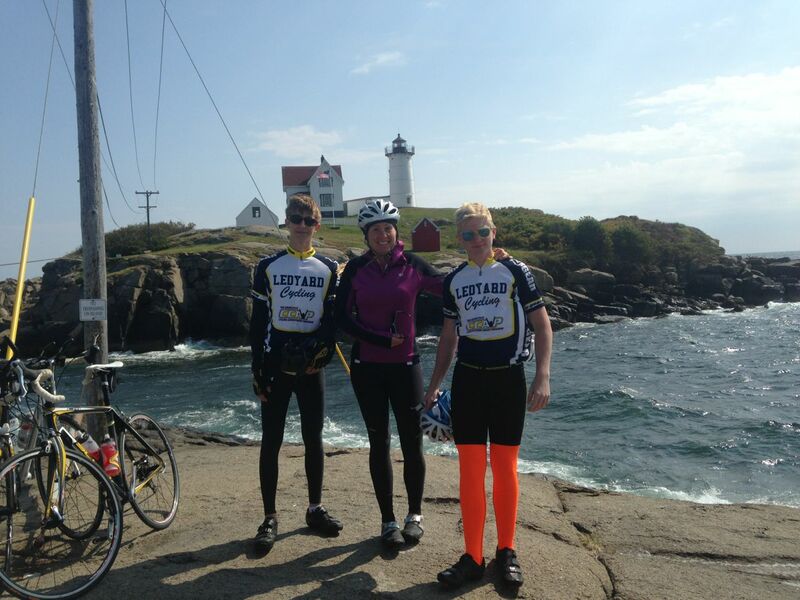 We rode to Mystic. It was a beautiful day. Megan powered up the final hills as if she had done it before! 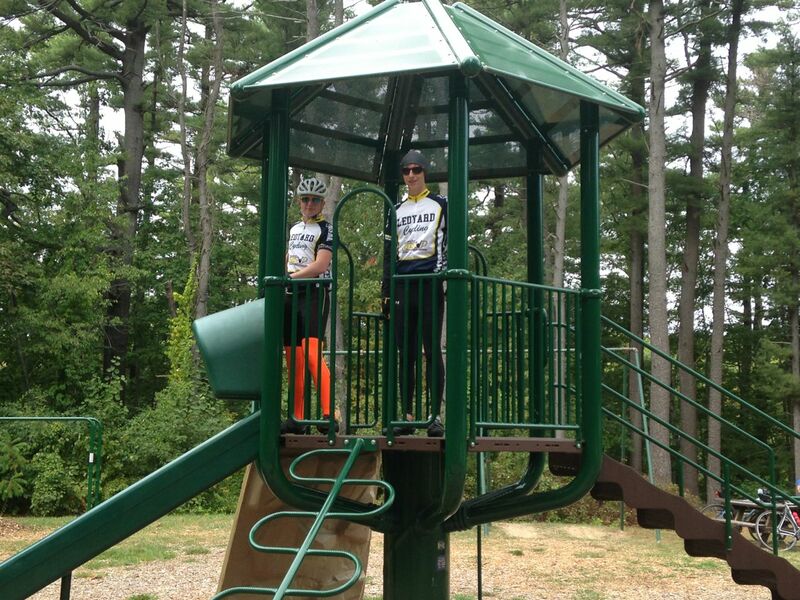 This is the 10 mile route for the team time trial we are doing on June 15 in Durham, CT.
Mrs. Froh and Trent did some local skills training today and finished it off with a little climb up Gallup Hill. 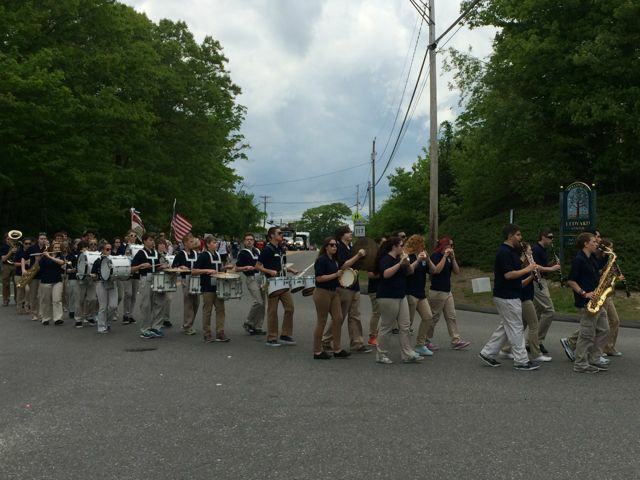 We did a quick easy 14 mile loop today and then joined the Ledyard Memorial Day parade with the LHS marching band. 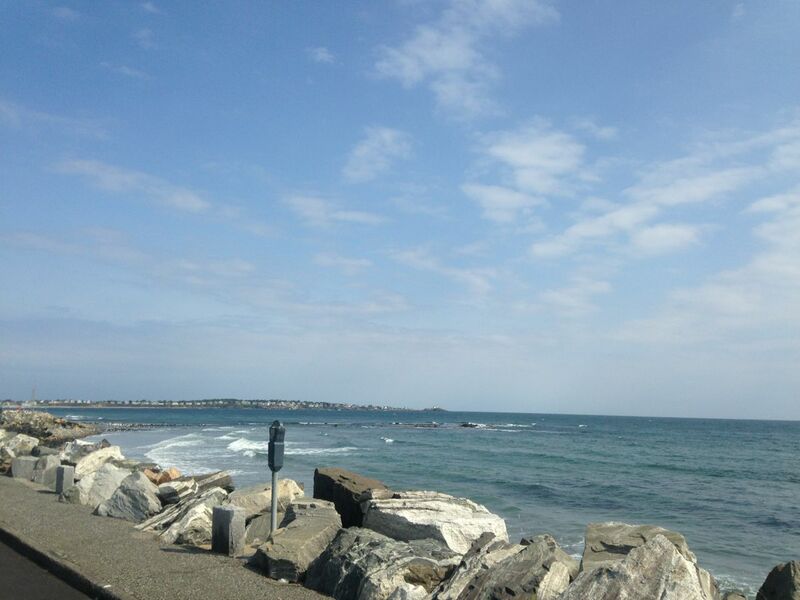 Nice day out there! 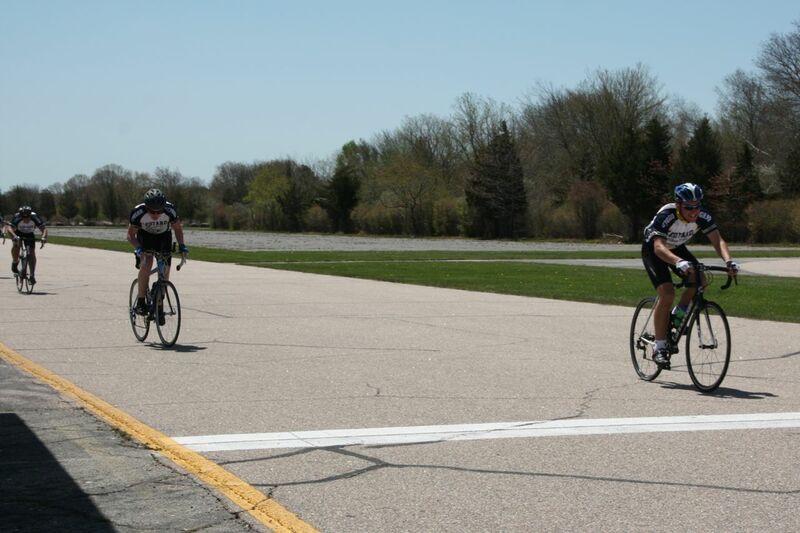 On May 18, club adviser Mrs. Froh placed 1st in both the women's masters 20k and 40k criteriums in New Britain, CT. Congratulations!! We did a quick ride after school. 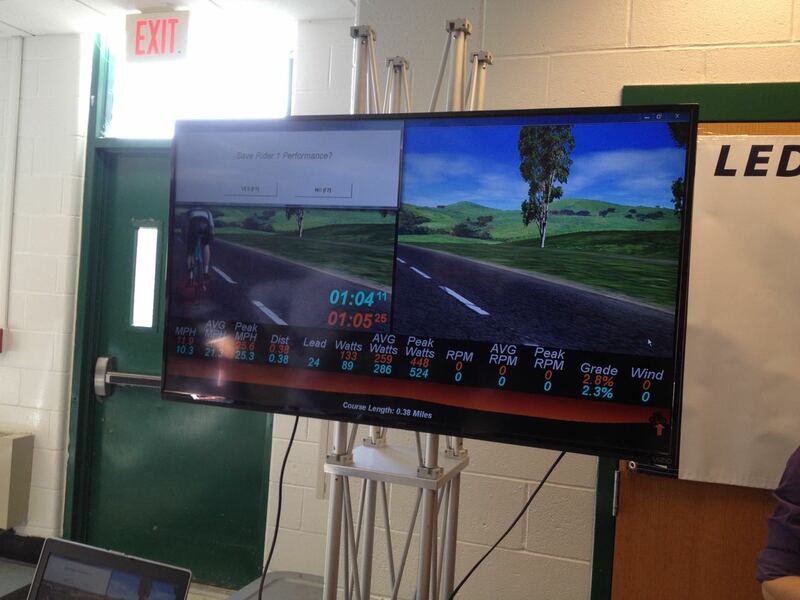 We rode a pretty good overall average pace of 17.7 mph. 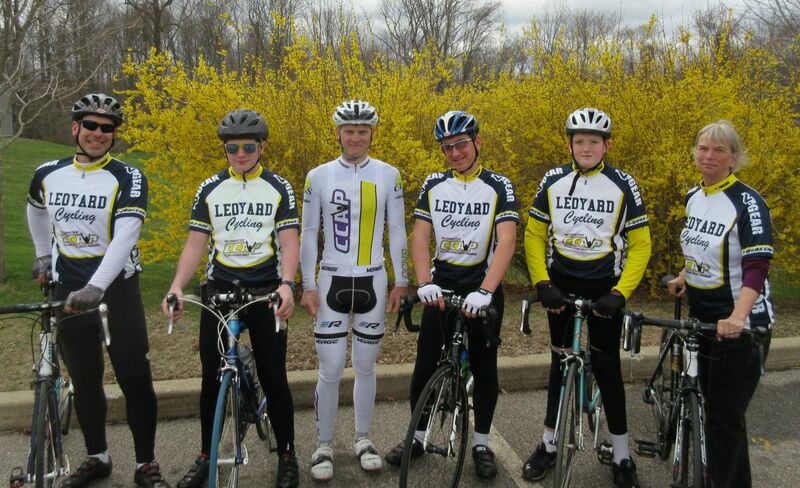 Track season has ended and Steven has rejoined the peloton! Megan will be joining us on Friday :) Good times! 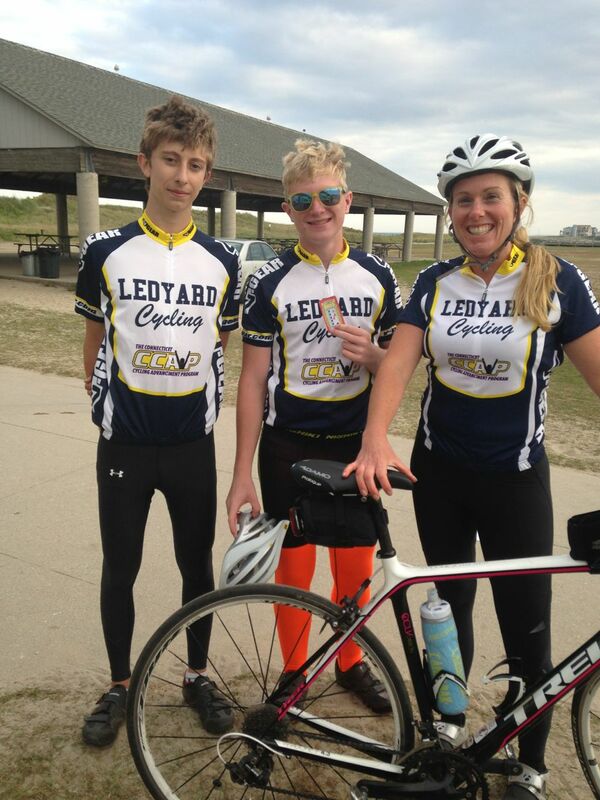 We have 3 more riders planning to join us in June. Keeping it rolling! 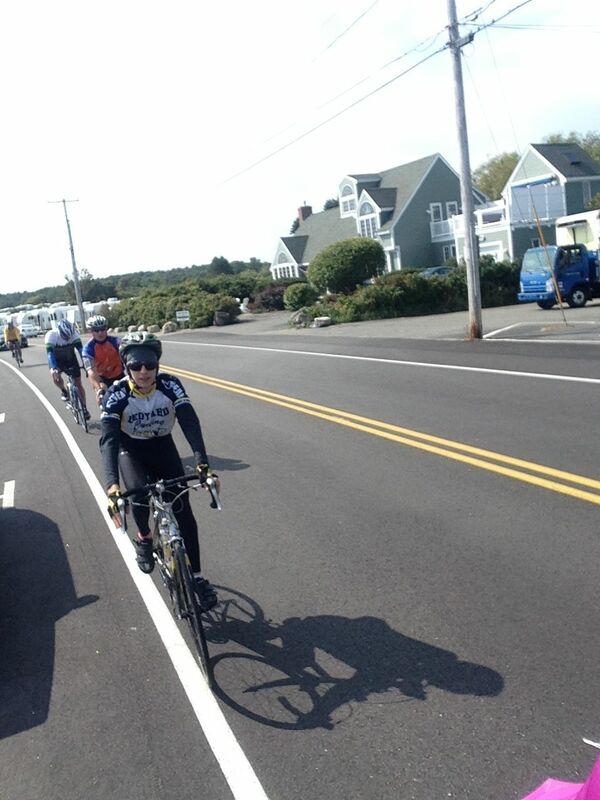 Today's ride was one focused on pace lines, but in a larger group. We were a much larger team today and that changed the dynamics for the better, but certainly required adjustments for each rider to accommodate the tight team pace and goals. We stopped at Mystic Cycle Centre for a couple of quick tunes. Thank you MCC! Alex found a pair of shorts and X has his Christmas present picked out, a sick snow-mountain bike with massive tires. 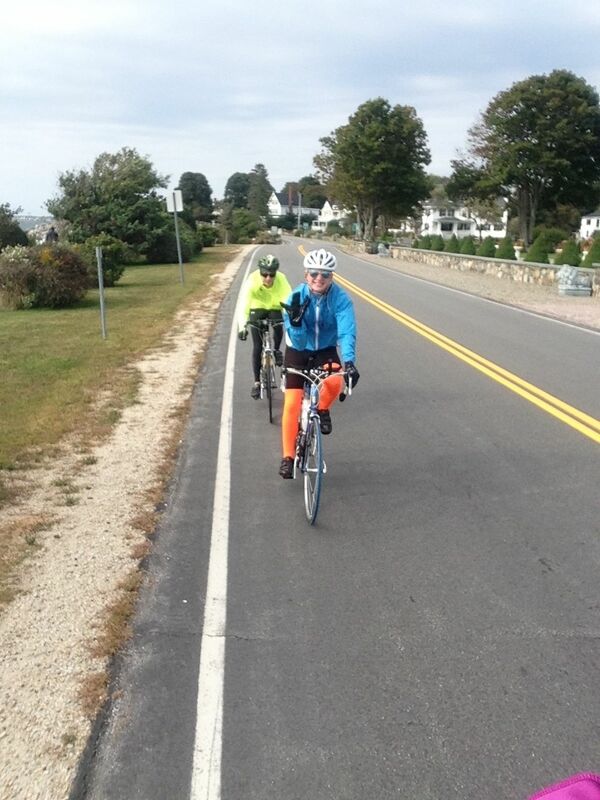 We paced it hard on a loop through Mystic and Stonington, and then ended the ride with a little competition. 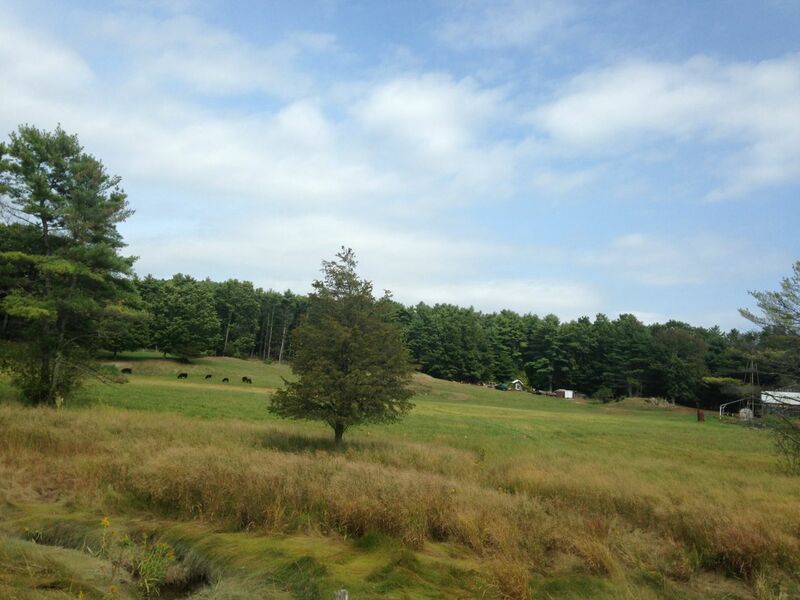 As we turned onto Gallup Hill Rd, the call was for anyone to attack. X attacked immediately up the first of many hills. He rode off the front over the first too big ones and never looked back. Mr. Jannke chased him to no avail. Then Steven and Gianni attacked Mr. Jannke and left him hobbling home. X powered on and could not be caught: a brilliant solo effort. 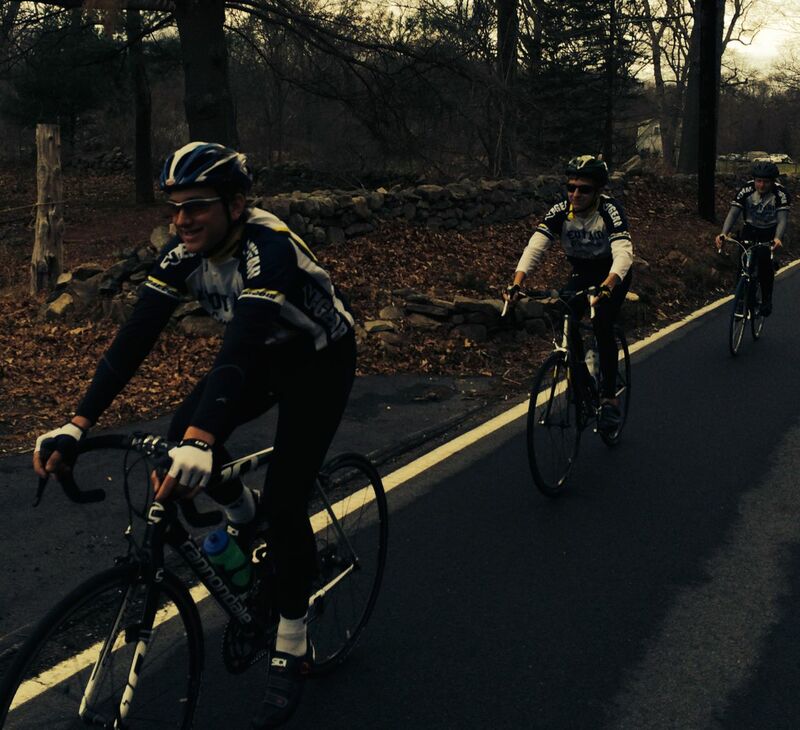 Gianni and Steven's collaboration ended on the final climb, when Steven jammed a gear. Gianni caught X for a final sprint finish between the two. 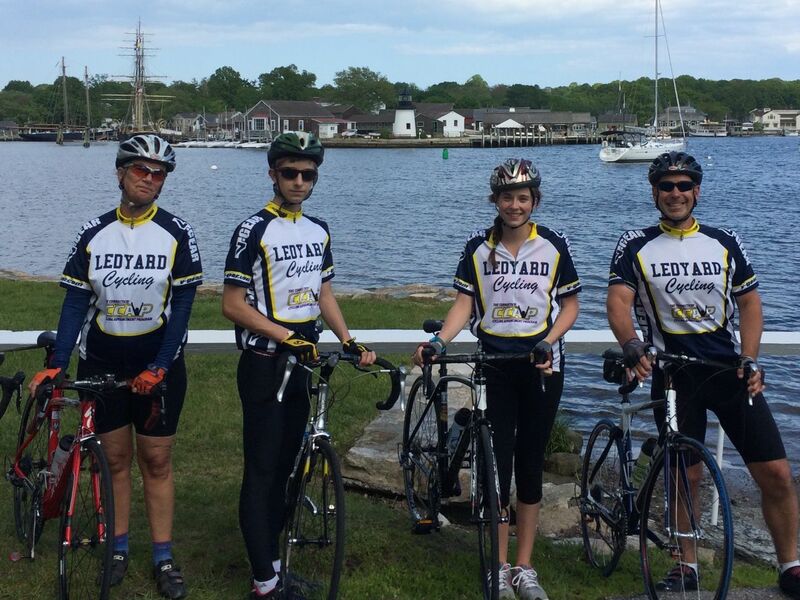 LHS cycling rode down to Mystic to watch the launch of the 38th voyage of the Charles W. Morgan, its first in 73 years. 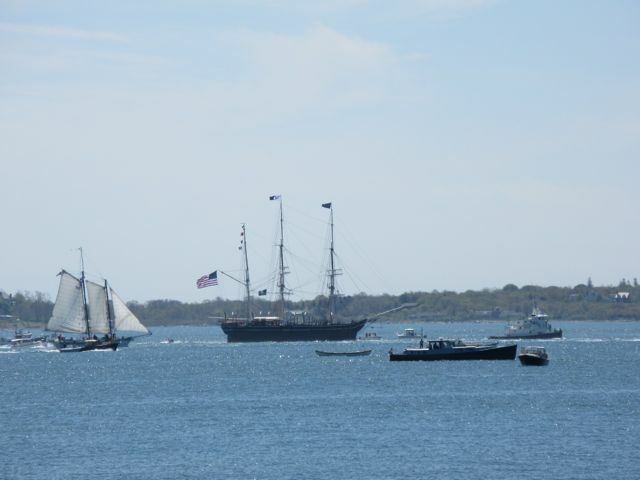 We followed it all the way to Groton Long Point. It was a once in a lifetime experience and the weather was magical. 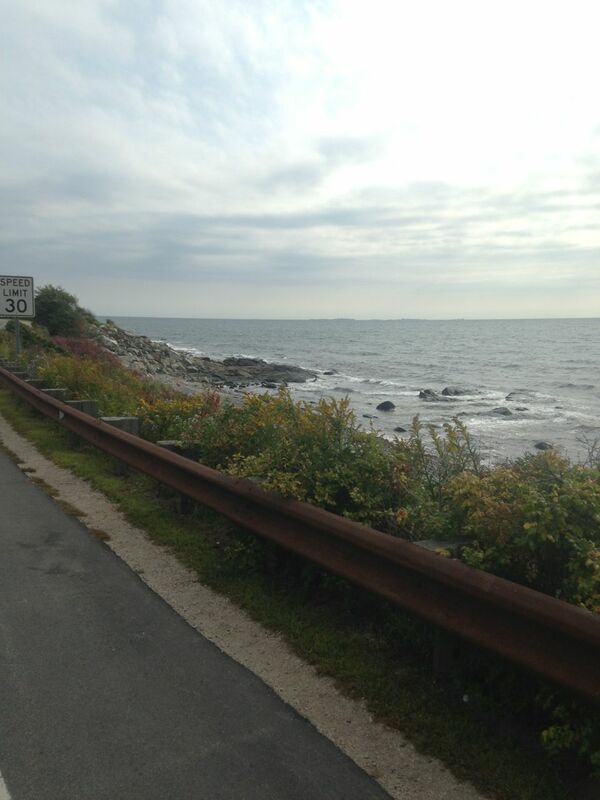 Rode down to Mystic today. 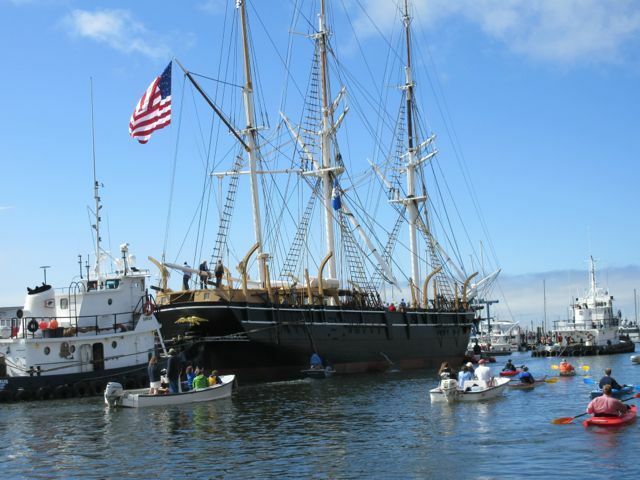 Saw the C. W. Morgan floating off the lift dock. 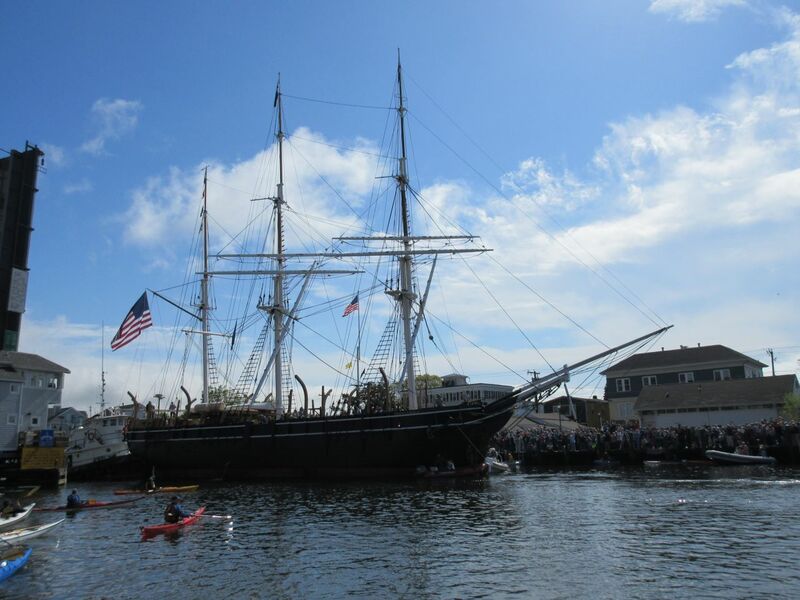 Nice to see her back in the water! 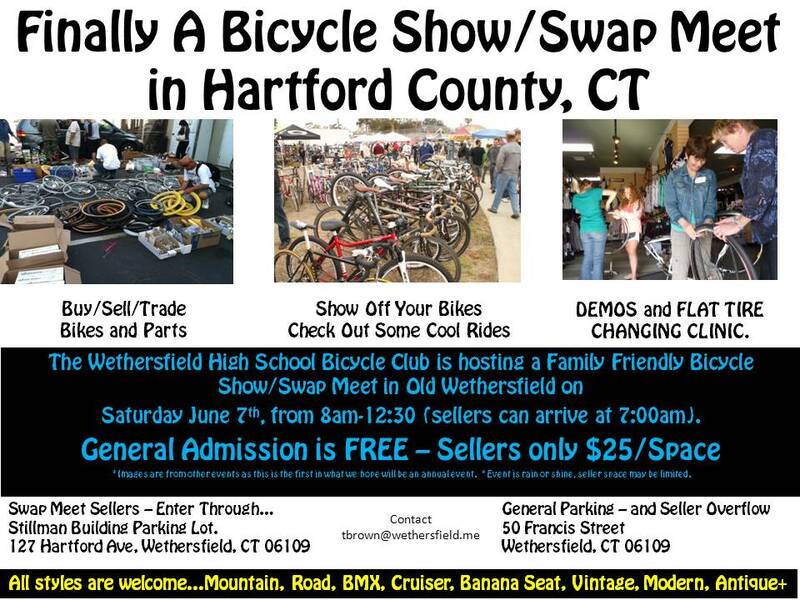 We plan to make a trip to Wetherfield on June 7 for this bike show/swap. We will learn about bike maintenance, changing flats, etc. 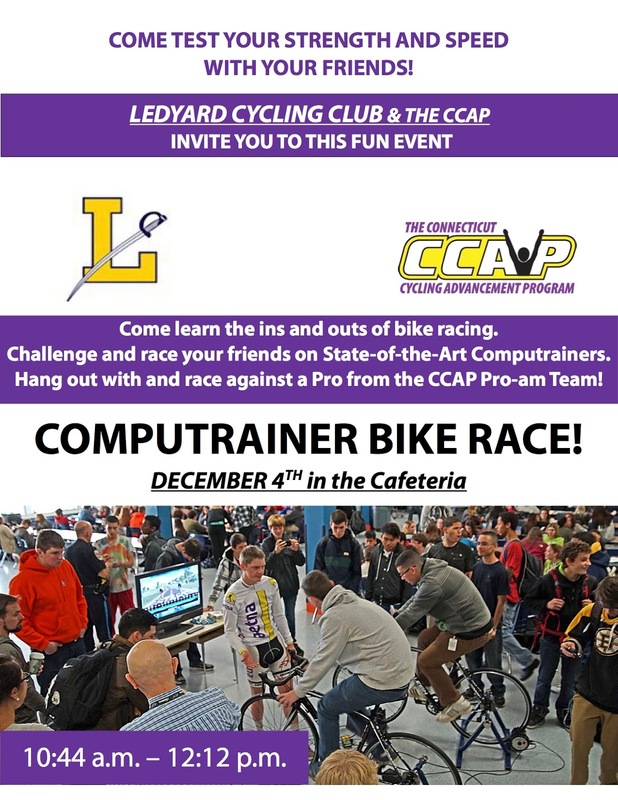 We'll see if there is equipment riders can purchase and we'll take a ride in a different part of CT. Mark your calendars. 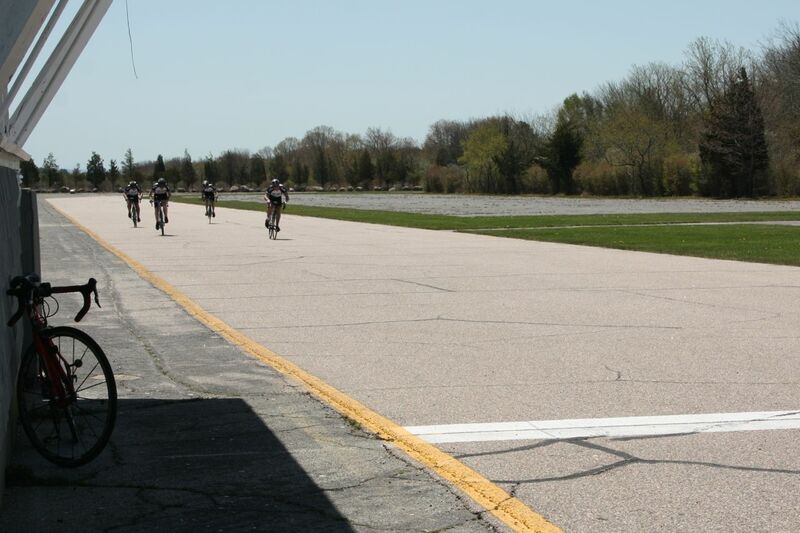 We headed to Rhode Island today to train on the criterium track at Ninigret Park. Thanks to Mrs. Froh's experience at the park and with racing in general she was able to teach the boys so many new skills. 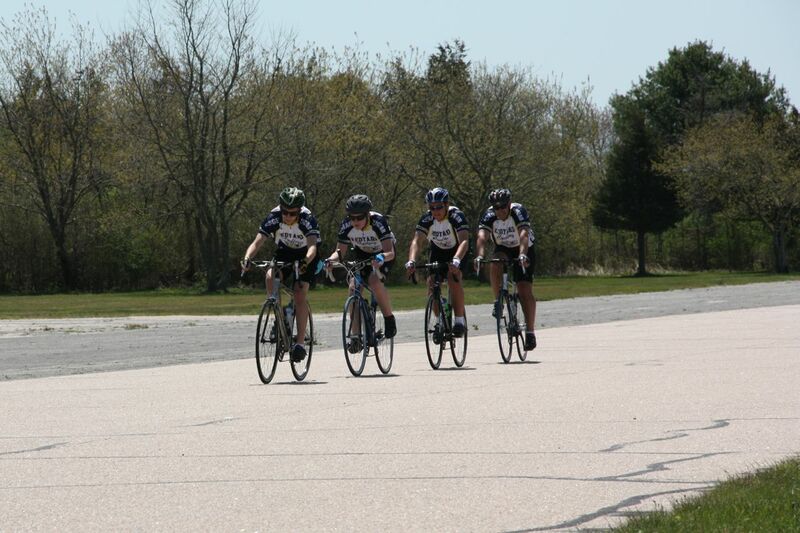 They practiced cornering, pace lines, sprints, breaks, cornering in the drops, and of course working as a team. 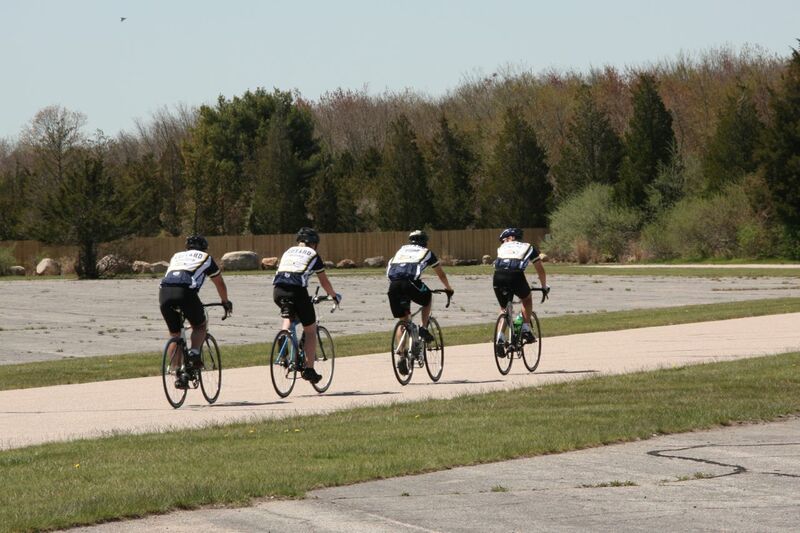 This closed circuit environment proved to be a perfect training ground, which we will utilize more often. Again, a big shout out to Mrs. Froh for treating us to an amazing experience. 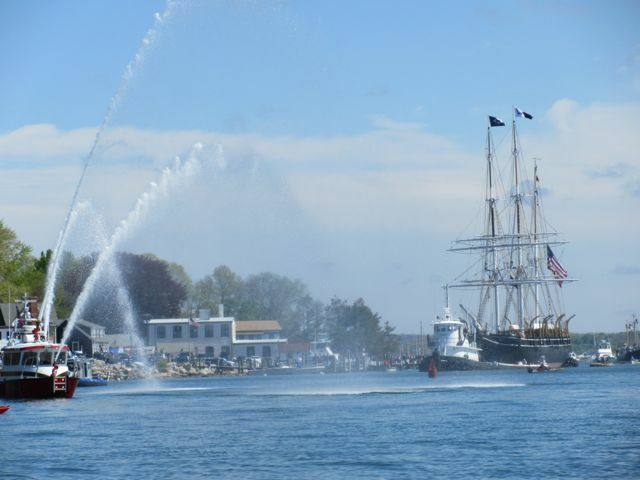 Check out the photos below (click on an image for a larger view). 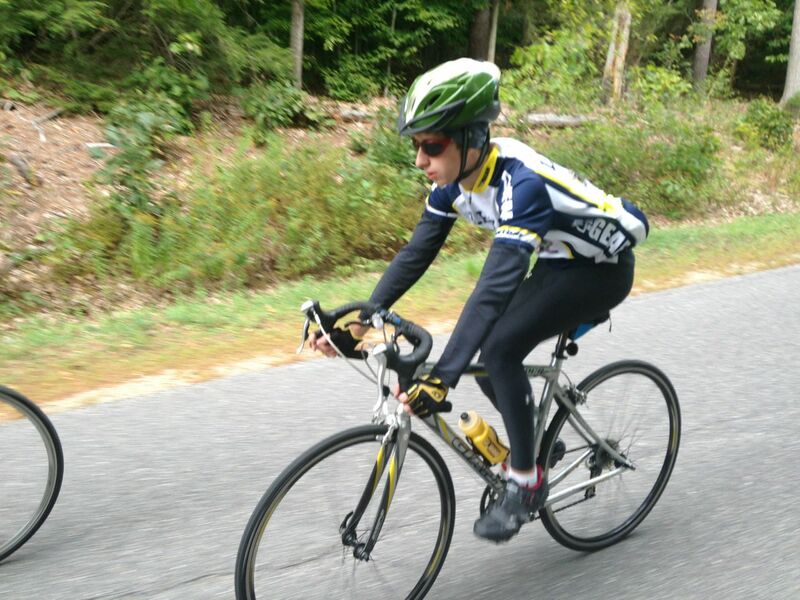 Mr. Jannke did a solo ride today in Milford, CT. 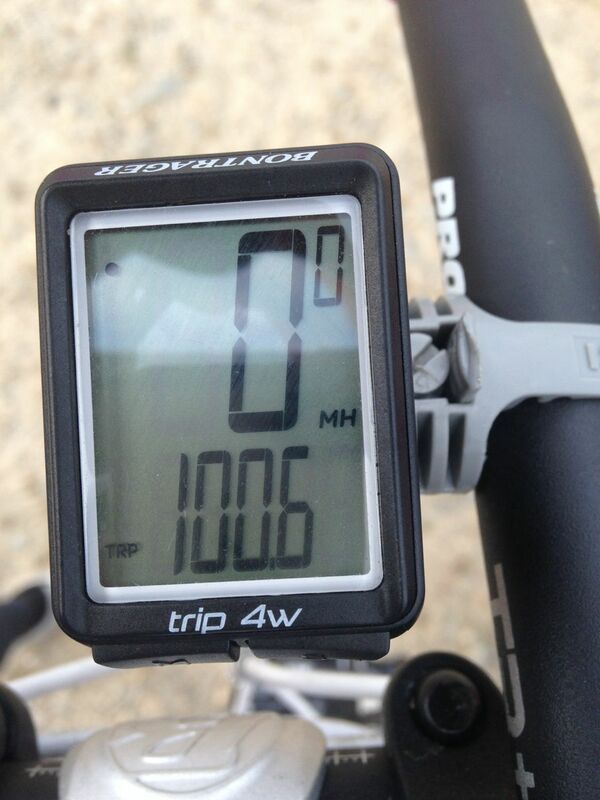 It was a long 44 miles riding solo in the wind. He's trying to get in shape to keep up with the kids! Fun ride yesterday. 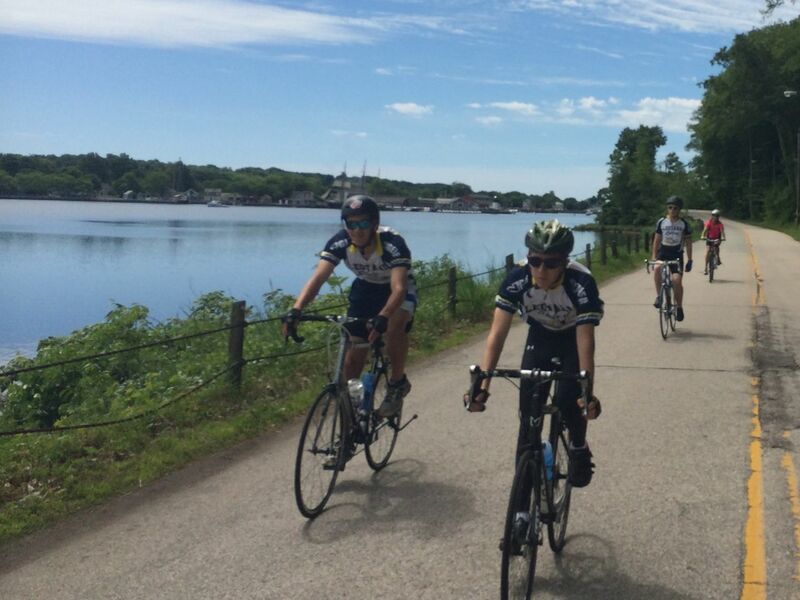 We rode a very fast, flat pace line for much of the first half (18+ mph) and then charged hard up the Pequot Trail and Gallup Hill (1.2k vertical). We worked very well as a team on the flats and everyone tackled the big hills at the end at their own max pace. This was a fabulous ride as you could really see the form coming together! We visited Noank and the Mystic Cycle Centre. 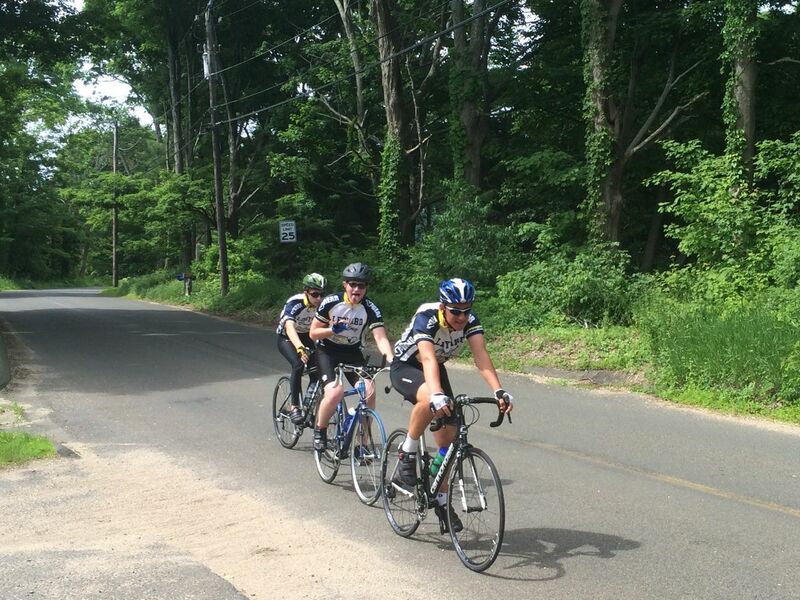 Gallup Hill was a long fun way to finish up! 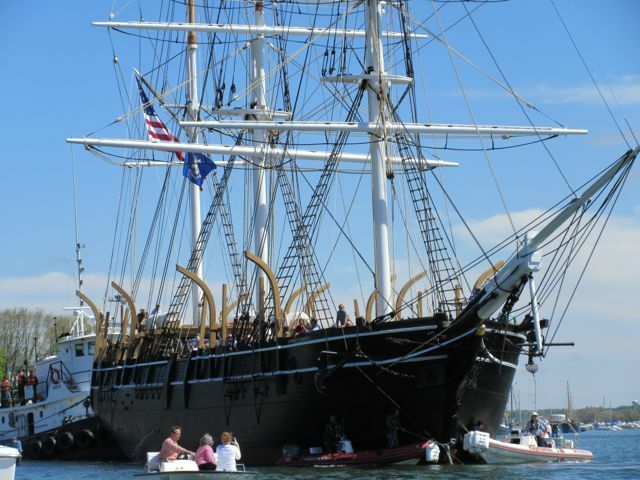 We are riding to Mystic tomorrow.....60 degree temps and no rain!!! See you all at the tennis courts, ready to roll at 2:30. 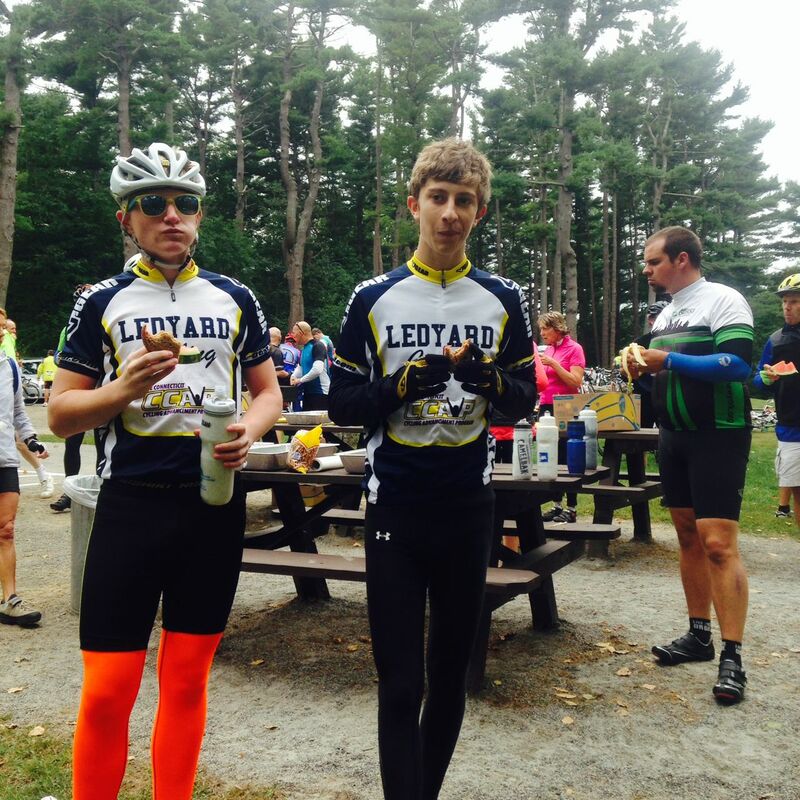 We rode with the Pequot Cyclists today. It was a really fun ride around Ledyard, no rain, a bit cool, but the hills really warmed us up! We tackled 4 big hills and many smaller ones. 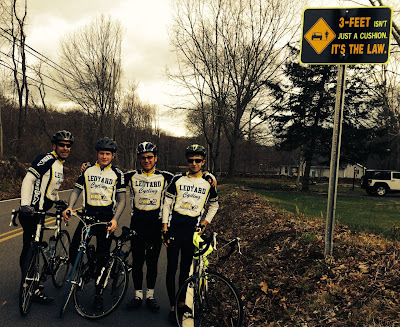 Two of the hills we climbed are 2 of the top 3 in Ledyard (we climbed Avery and Rose Hill, Baldwin is the other big one). The team road really well together. You can really see the growth in just one year! It's going to be a fun season! 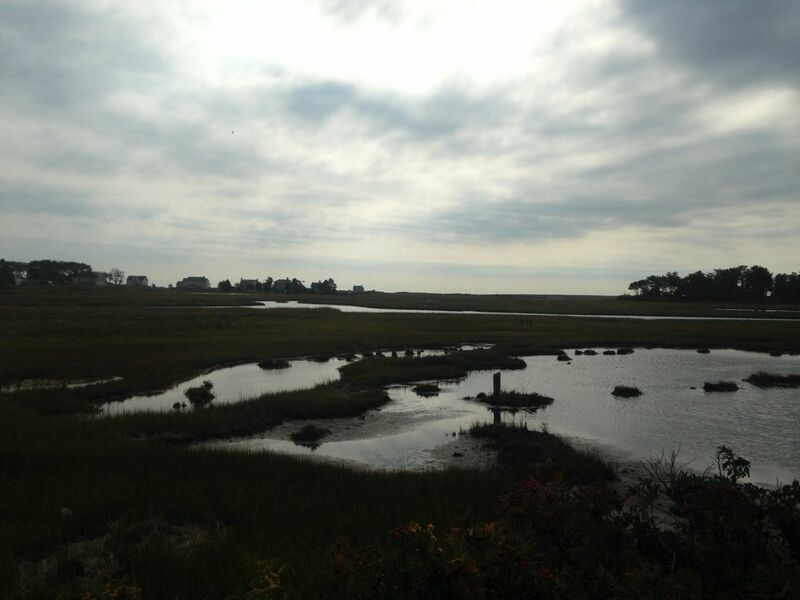 We did a nice 20 mile ride down to Mystic today riding the flats. We worked on pace lines. Had a break to fix Xavier's flat. They are getting stronger! Check out our new kit! We won them from CCAP at last year's CT Cycling Festival. 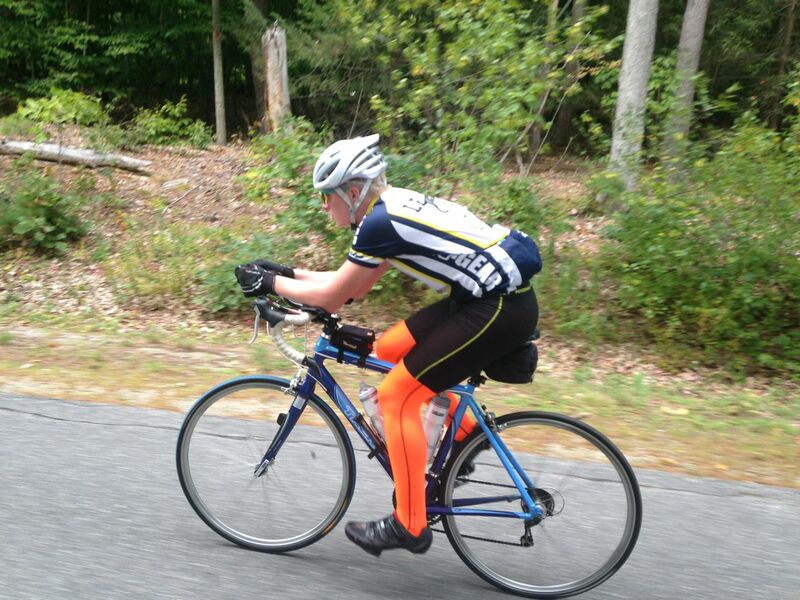 Follow our new Twitter account for last minute updates and recent ride photos. Weather is looking good for Wednesday. Temps close to 60. Shorts should be ok, but maybe bring warmer top. Hope everyone is enjoying break! Great news, our new team jerseys are in and we'll pass them out on Wednesday. In an effort to create a team uniform, please wear black shorts if at all possible. More good news is that new members Megan and Trent have been successfully outfitted with bikes. 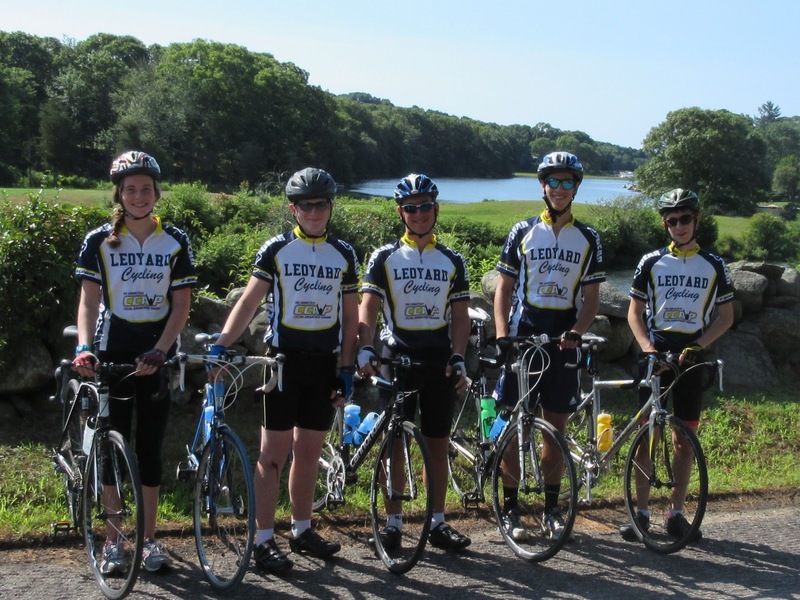 Our regular rides will be starting up this week. As a minimum, we'll ride Wednesdays, Fridays and Sundays. So, our next meeting is Wednesday, April 23. We'll meet at 2:30 by the tennis courts. We'll plan to ride for just an hour or so. Parents should be at LHS for pickup by 3:45 at the latest. We'll do either a 10 or 13 mile warmup loop (see our Rides page for route details). One final note... I would like everyone to lock their bikes on the bike rack, when possible (i.e. not raining). With our increase in numbers there is less space in my room. Also, it is great publicity to have the bikes out there for others to question. Of course if you forget a lock or it is raining, just bring the bikes up to my room and we'll work it out. See you Wednesday! Thank you to everyone who donated to our Breakaway Benefit fundraiser! We raised almost $600 as a team. Well done! The first will be this Friday, April 4. We will meet by the tennis courts to go over gear. Please bring everything you have. 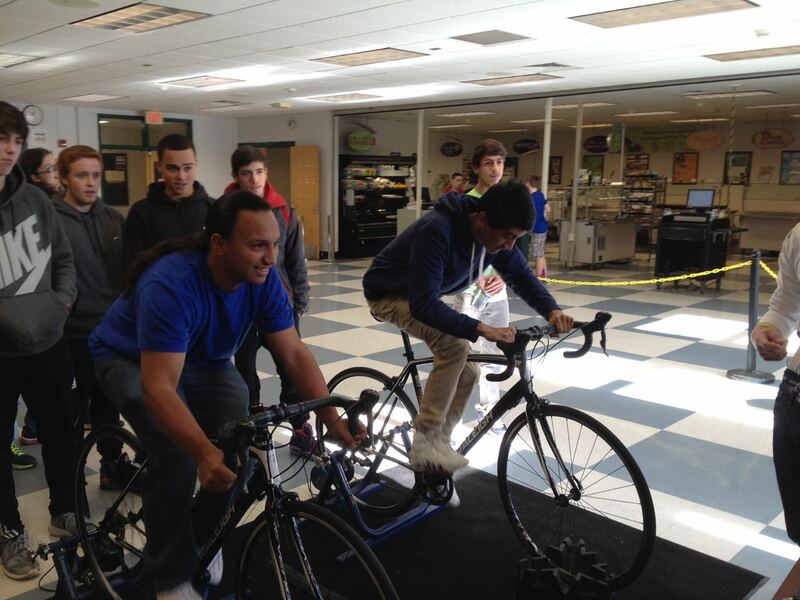 We will adjust bikes and take some test laps around the parking lot. We'll go for a small rid and then wrap up early. 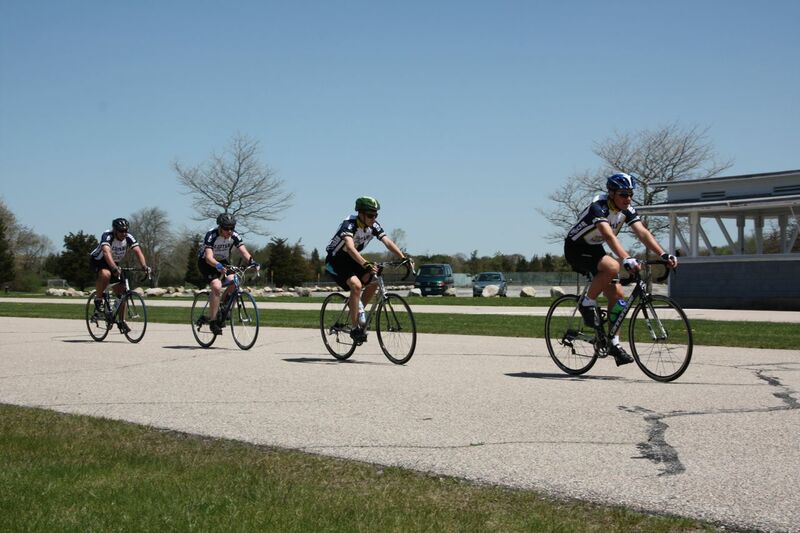 Our first big ride will be next Wednesday, April 9. 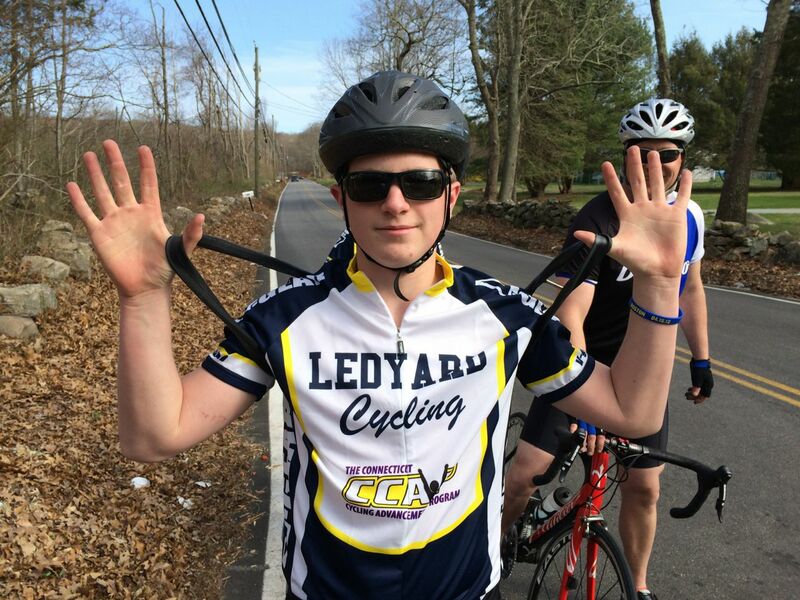 John Harris will be doing a fundraiser ride that day, taking laps around Ledyard. We'll join him for a lap or two to help with publicity. 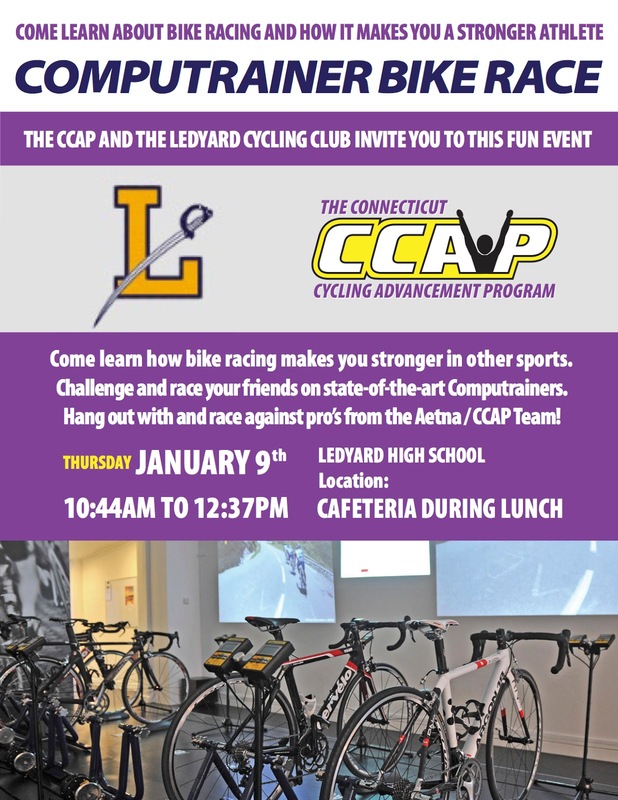 Once again CCAP is supporting Ledyard Cycling. 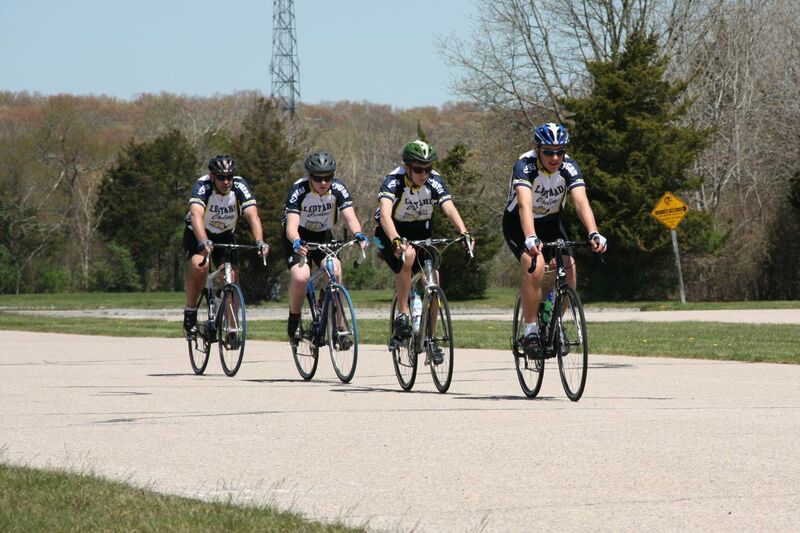 We now have a team fundraising page for the upcoming Breakaway Benefit. A portion of all donations made on behalf of our team will go directly to our fledgling club budget. Learn more, spread the word, donate and get your family and friends to donate. To support us visit http://bit.ly/1beowWZ.